Have you started planting your garden yet? Are you already picturing the multitude of fresh veggies you’re going to enjoy in just a few months? Now that we’ve seen the last of Winter and the warmer weather is here to stay, I can’t wait to get my hands on some fresh vine ripened tomatoes and a ton of summer squash. And those are two things I just love. I could lived off of tomato sandwiches on toast. I remember every summer growing up and going to Grandma’s house and her serving us up tomato sandwiches with ones fresh picked from the garden and so juicy they’d drip right down your chin if you weren’t careful. There wasn’t any delicacy better. It’s still my favorite summer time treat. Although tomato pie has become a close runner-up. And squash? I never thought I’d get my guys to willingly, and eagerly consume something like squash. I was not a very enthusiastic squash eater growing up, but that was because back then I didn’t know you could do anything with it beyond a microwave and a little bit of salt and pepper. My, my, my how things have changed. We love taking such an old staple as squash and upgrading it from the country cottage table level and giving it that fancy city-fied attitude. And while those recipes were all well and good, something was still missing for me. I felt I hadn’t quite achieved the zenith of squash and tomato perfection. Close, but no cigar. And then I had a thought. 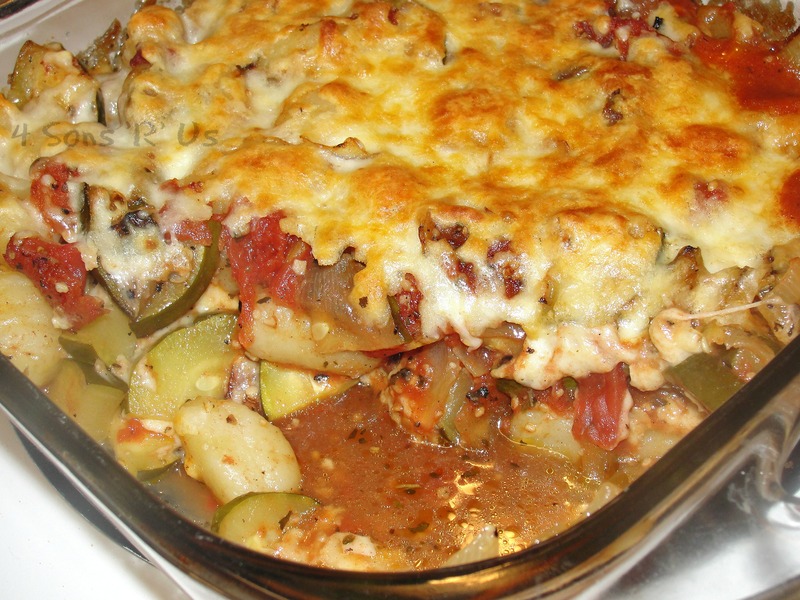 Zucchini and tomatoes paired together in one perfect side dish. Add in a little gnocchi, fluffy little potato pillows of perfection, and we were more than in business. We were booming. The flavors in this dish meld into one perfect ‘ah-ha’ moment in your mouth. We love the texture and just the over all cheesiness that the mozzarella adds, but feel free to leave it off if you’re trying to go for lighter fare. 1. In a large skillet, sautee the onion and garlic in the olive oil over medium high heat. Saute about 5 minutes or until the onions are soft, and then add in the zucchini. Cook, stirring occasionally, for another 5 minutes. Add the can of tomatoes, stirring to combine. Cover the pan, reduce the heat to medium low, and then let the mixture simmer while the gnocchi cooks according to it’s package directions. 2. Drain the gnocchi when it’s done cooking. 3. Add salt and pepper, to taste, to the zucchini mixture and stir. Gently stir the gnocchi into the zucchini mixture and let everything simmer together for about a minute. Remove the skillet from the heat. 4. Spoon half of the gnocchi mixture into a 8 or 9 inch square baking dish that has been sprayed with cooking spray. Take half of the mozzarella cheese and sprinkle it on top of the gnocchi mixture. Layer the remaining gnocchi on top of the cheese and then arrange the remaining cheese over that layer of gnocchi. 5. Bake, uncovered, at 350 degrees for 25 minutes. Turn the broiler of your oven on and broil, watching carefully, for 2-3 minutes until the top begins to brown. I was just saying yesterday how I’ve never had gnocchi before!!! 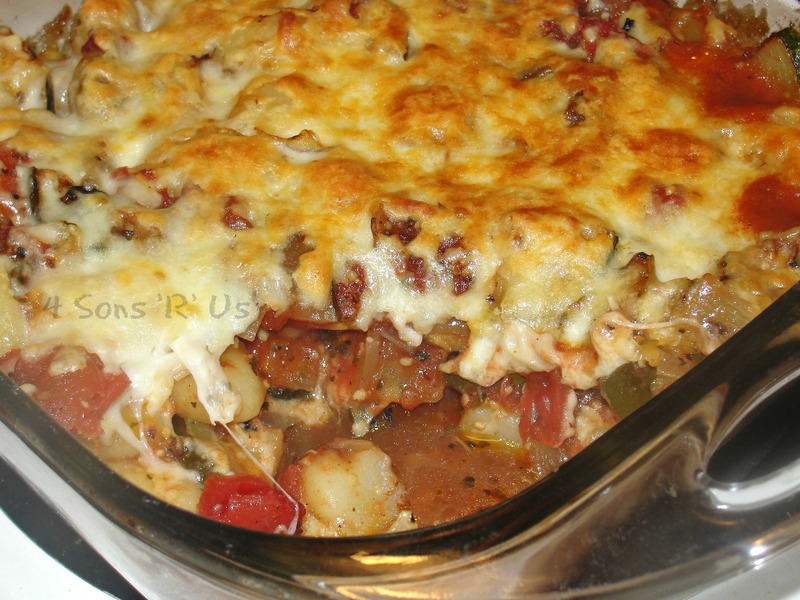 I’m dying to make it soon, I might just have to use this recipe, it looks SOOO good!! 🙂 I love bakes like this! Girl, get on the gnocchi bandwagon! You’ll fall in love with the little dumplings, and the recipe options are endless. Although this one is pretty darn tasty if I do say so myself! I know, I know… I really need to get ON it!! That and Quinoa… still haven’t tried that yet either. Oh I hope I could say yes to those questions about gardening. But gardening isn’t my thing. I mean, of course I plants and flowers – the gardening thing doesn’t love me back. I can’t lie, my green thumb isn’t always green, often it’s brown or black BUT the hubs has inherited his Mom’s magical ability to resuscitate anything green and get us the goods. Seriously, his plants grow so well that they practically beg us to unburden them. This is one of my favorite ways to enjoy our summer squash crop! This looks tasty, I tend to make gnocchi which might be a bit over the top for this recipe, given all the other flavors, but either way worth a try. I need to get some plants for our small garden as well – last year we had some really tasty heirloom tomatoes. 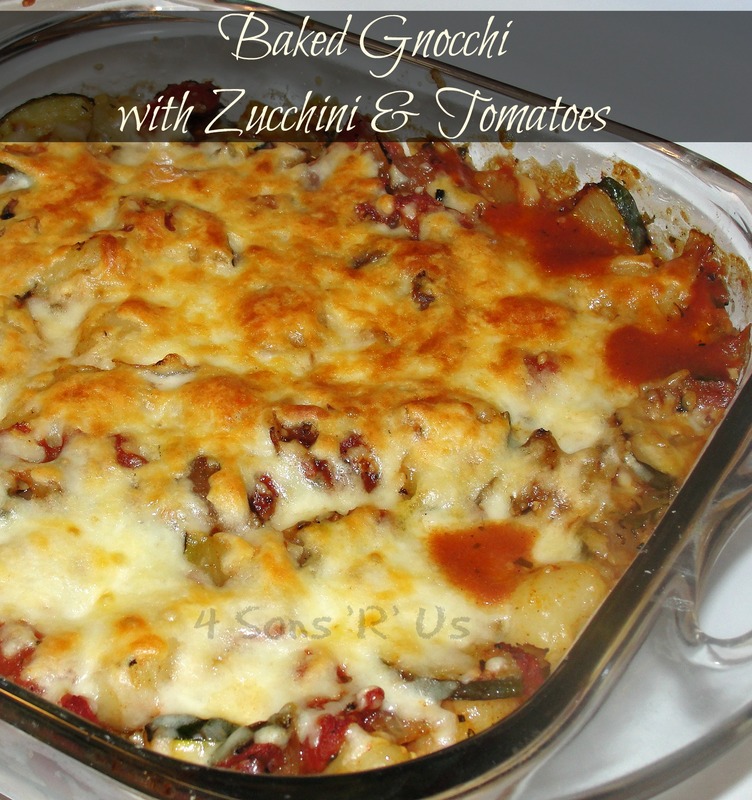 We make a tomato and zucchini casserole sort of thing when we have lots of zucchini; but this with the gnocchi sounds marvellous!